Don’t you love that headline? That was the title of a blog written by my daughter today. I’m certain she hasn’t always believed that I know best. So, I am savoring this moment and this headline. She sent me a list of suggestions she received in a class about how to live off a teacher’s salary. She had some concerns about some of the tips and whether she could or should follow them, and asked my opinion. I don’t know how it happened, but since I got married, I’ve had a greater appreciation for my Mom. I find myself wanting to call her often, and get her opinions and advice on everything. She is my go- to person when I have any kind of problem I need to work out or solve. 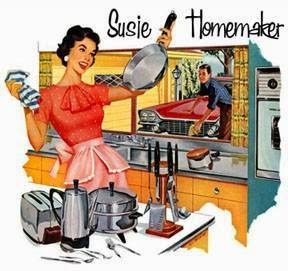 I think maybe it’s part of the LDS culture to picture the perfect wives and mothers who stay at home, have their children well-dressed, orderly, and clean, and have a perfectly cooked (from scratch) meal waiting for their husbands when they get home from work. During their day, they spend hours couponing, quilting, canning, and crafting. I guess when I got married, I had this crazy idea that once I was a married woman, all these handy skills would just naturally be bestowed upon me. Well, shockingly enough that didn’t happen. I know, I know, you can pick your jaw up off the floor now. Can I get an AMEN? 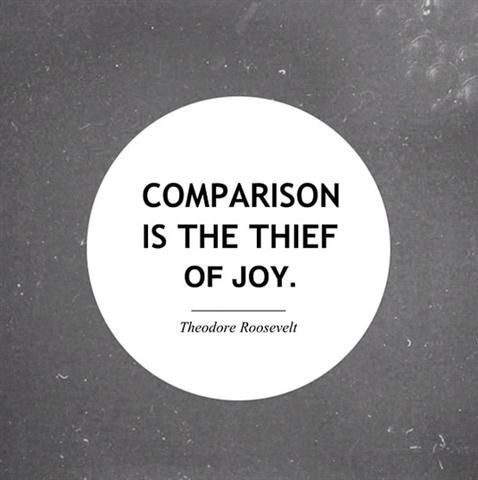 Comparison has and will always be one of Satan’s greatest tools against us. Who cares that I don’t know how to make my own jam or save $100 bucks with coupons every grocery visit? I have other great strengths that I have faith will help me be perfect for my own family. And for heaven’s sake, I’ve been married not even three months yet! I’ve got plenty of time to figure out what skills I think are important for my family, and I have confidence that all isn’t lost because I don’t know how to make my own bread, yet. I guess I should end this rant before I offend anyone because that was not my intention. I hope you blog readers get that I am seconding my mother and telling you that comparison is a terrible game to get involved in. I am far too guilty of it. If couponing excites you, and saves you money, and cloth diapers don’t make you gag, then more power to you! Now, I must add the editorial comment that I am not slamming women who coupon. Like Annie said, good for you! My point was that Annie (and all women) should not feel “less than” because they CHOOSE to do or not to do certain things. I was trying to tell Annie that she needs to trust herself and do what’s right for her in her unique situation in life. And, she needs to forget about being like the women she reads about on a blog or the women at church who seem to have it all together, or even the teacher that created the list of tips that led to this discussion. So what?! It’s a lie that there is only one way to be a good wife, mother or anything else in life. And, until we learn to stop trying to be someone other than who we really are, we will not be happy. We will never become who we are meant to be until we stop trying to live someone else’s life — especially when we know better. We really do know better. Don’t we know that if we pull back the curtain in anyone’s life it’s not quite as glamorous, easy and wonderful as it seems on the outside? We can learn from other women, which is what smart women do. We just run into trouble when we lose touch with reality and believe every other woman’s life is dandier than ours. Now, I’m going to scroll to the top of this lecture and reread the headline. Whether it’s true is not the point. It’s the compliment that matters. Daniel Jones, the editor of the New York Times’ Modern Love column has read about 50,000 essays on love, and written a book called Love Illuminated — Exploring Life’s Most Mystifying Subject about what he’s learned. When Jones talked to Katie Couric about the book, she said she thinks if you want to find someone, you need to put out an APB to everyone you know. The hazard in doing that, according to Jones, is that you have to know what you want before you send out that APB or it won’t make a difference — and, most people don’t know what they want. They think they do, but they really don’t. I believe there’s some truth in that. Before I married Doug, I thought I knew, but looking back, I didn’t have a clue. We might be able to list certain characteristics and values, but is it possible or even practical to suppose that we can really know who we will love (or who we can love) by just analyzing ourselves, our needs, and wants? How do we know who or even what type of person we can build a life with before we actually meet and get to know that person? I’ve always envied people who found love quickly and easily without ever having to even wonder about things like this. One of life’s most mystifying subjects to me is why some people find love easily and early in life; some find it much later; some never find it at all; and some find it; and then, heartbreakingly, lose it. You can’t hurry up fate. You can’t find someone fast AND have it be destiny. The two are incompatible. You can’t get married and stay single. You have to give something up for marriage to succeed. You can’t have love without the possibility of loss. You have to love fully, knowing it will end. On the first point, I agree that you can’t hurry fate. Sometimes two parallel universes need to be aligned and sometimes, that takes time, a lot of time. But is love always the result of fate? Can love be a choice? Not to take all the fun and romance out of it, but what if love could also be an investment, like a savings account you decide to open and build with regular, constant deposits to make it grow and thrive? At first, I dismissed the second point because it seems so obvious — you can’t get married and stay single. But, one thing Doug and I have learned as “empty nesters,” (I hate that term…) is that without our kids to bring us together for games, concerts or family meals, we can easily go to our separate corners of the house, pursuing our own “single” activities, and quickly lose our points of connection. He travels frequently and when he’s home, I might have evening meetings, dinners with friends, or be involved in projects of my own. We watch different television programs; read different books; and prefer different bedtimes. If we let that go on for very long, we start to feel more like roommates than husband and wife. In love, like most important things in life, there is no neutral. You are either moving forward or drifting backward. Without effort, all relationships go adrift, and become purposeless. Unanchored, unmoored relationships cannot last; or at least, can’t be very fulfilling or satisfying. You need a destination, and you need to paddle. To the third point, this one makes me sad, and would deter me from ever loving. 1) You have to believe the relationship will be worth it. I remember when my dad died and the grieving was brutal. My mom said my grief was a testament to my love for him. “Would you have loved him less if you knew it would hurt this much to lose him?” Of course not. The love, the relationship was worth it. 2) Not all relationships have to end. Some will end because one person may care more than another, or for a million other reasons, but I think we have to look for, invest in, and believe in lasting love. Life ends, but relationships don’t. Yes, there will be separations. One person will most likely die before another. But, one of my core beliefs is that relationships don’t end when life ends. Clearly, some relationships have to end for the well-being of one or both partners, but going into a marriage with the idea that it is temporary, automatically limits its success, depth, and potential for happiness. Turns out I have a lot of thoughts on this topic and will likely follow up with my own ideas about love. But, I’d like your ideas too. Do you agree with Jones’ findings? Are you paddling or drifting in your relationships? Please share with me and help me illuminate this subject even more. I enjoy yoga, but sometimes yoga teachers speak in such vague and abstract terms that I feel totally confused. After awhile, they sound like whirring fans — creating white noise. Their words come at me like dancing, fluffy feathers or swirling snowflakes that melt as soon as they land on me. Most of the time, I dutifully follow their instructive cues. Since I am obviously where I am, her words feel a little like a Dr. Suess rhyme after a while. I try to shut off my mind and get into the lingo. I sink into the mat, letting every muscle just relax into the floor, like she says. Then, I start thinking about what it took for me to get here. Here where I am. Here I am. I remember how I hurried out the door, and left the dishes in the sink. Okay, forget about the dishes. Let them go. Let them slip through the floorboards beneath me and down into the deep earth. I struggle to let the dishes go. I’ve been collecting them a couple at a time from the Polish pottery salesman at Eastern Market. I’m not sure I want them all slipping through the floorboards and crashing into the earth. Okay, forget about the plates. I’m back in the class, being where I am; and letting it all go. Before class started, the instructor asked us to introduce ourselves by saying our names and something we like that starts with the first letter of our names. I’m trying to be where I am but I keep wondering about the names of the people around me, and what they like. Holly likes honey. Trish likes tangerines. Who is the man next to me and what does he like? Fine, forget about the names. Oh, it’s Tom! He likes travel. I’m scanning my body, and then realize I should have gone to the bathroom. Stop thinking about the bathroom! I can’t scan my body; sink into the mat or anything else after hearing about the partner yoga. I’m suddenly uptight, worrying about Tom and I touching each other. Who knows where Tom’s feet have traveled and what they’ve picked up along the way. I don’t want anything to do with touching Tom’s well-traveled body. Forget about Tom. Send healing breaths to my tennis elbow. Really, out my toenails? Is she serious? My elbow doesn’t feel any better. I notice that Traveling Tom is practicing the “Darth Vadar” breath — working hard to send his big man breaths into his toenails, I suppose. Maybe I should roll up my mat and go home because I am not getting much out of yoga today. Amazing? Spiritual vibe? What am I missing? I feel nothing close to spiritual, I think as I press up into my Downward Facing Dog. Well, at least my dog is perfect. Separating the human from the human being? I guess she wants me to transcend my body somehow. She wants me to touch Tom’s feet – just a little gentle pressure to help him feel supported in his Cobra pose. I suddenly hate Tom, but resign myself to holding his feet, and grudgingly start to stand. Then, to my gleeful surprise, I see Karen who likes kiwi moving toward Tom who likes to travel. She stands over him and puts gentle pressure on his well-traveled feet, supporting his Cobra. Happy emotions come up. Oh how I love kiwi Karen. I love yoga. The word “amazing” comes to mind. It’s the end of class, but my positive energy is oozing all over the place. I bow my head to my heart, seal in the goodness of my practice, and send gratitude to Kiwi-loving Karen. Then, happily, I roll up my mat to go home, where I can go to the bathroom, wash my dishes, and think about my aching elbow without any judging coming up.